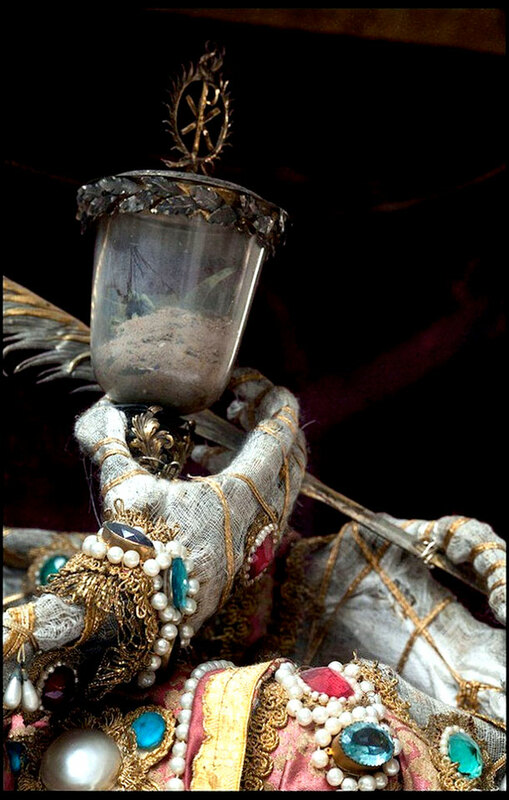 In 1578, a network of labyrinthine tombs was discovered lurking underneath the street of Rome. 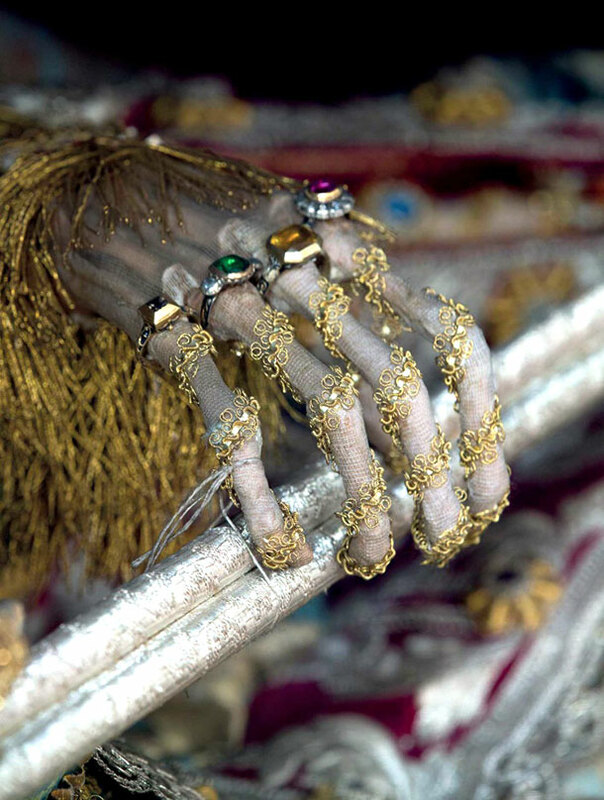 These tombs had for a long time been home to decayed skeletons of the early Christian Martyrs, who were believed to be saints due to their bravery and unwavering support to the Christian beliefs. 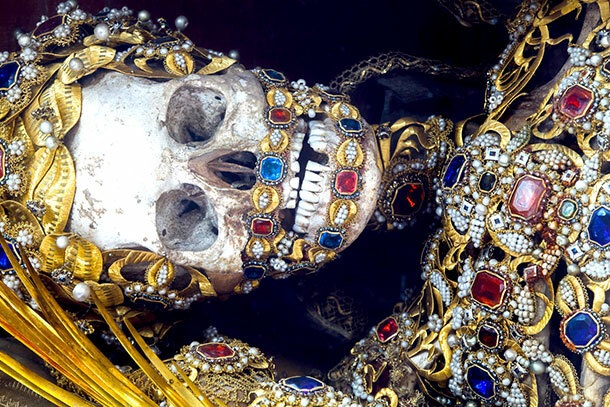 Most of these skeletons, named “The Catacomb Saints”, were distributed across Europe to replace the holy relics that were stolen, destroyed or smashed during the Protestant Reformation. 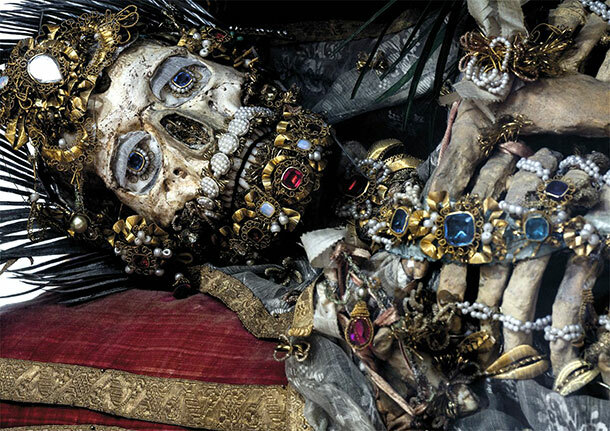 The skeletons were clothed and adorned with precious jewels, crowns, expensive clothes, wigs and armor on delivery. 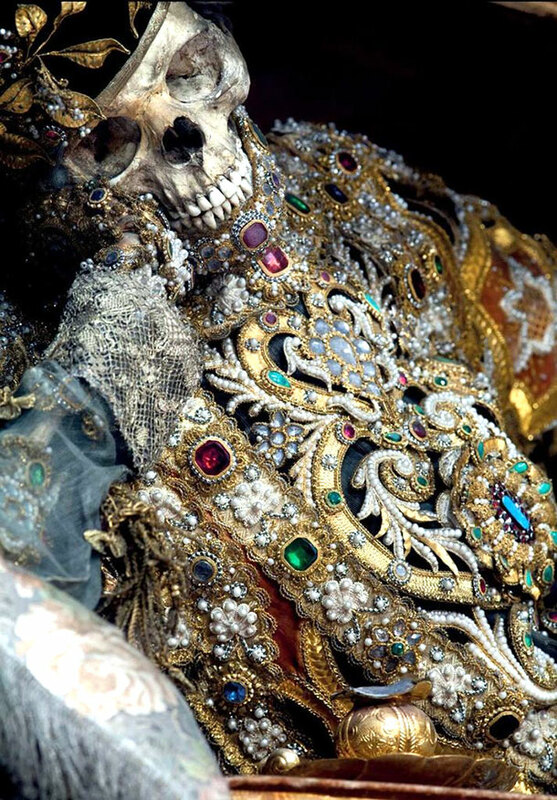 They were then displayed inside some churches as a reminder to those who visited, of the wealth and riches awaiting them after death. This, however, would only happen if they swore allegiance to the Christian faith. 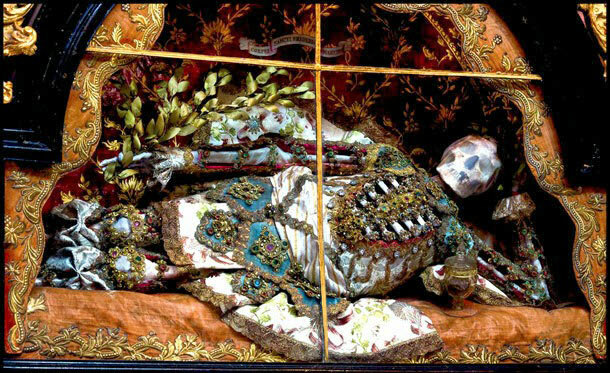 Paul Koudounaris, a self confessed relic hunter, was so fascinated by this discovery and travelled all over Europe documenting the status of each of the Saints. Amazingly, most of the skeletons are yet to be displayed- they are still stored in their containers waiting to be dressed. 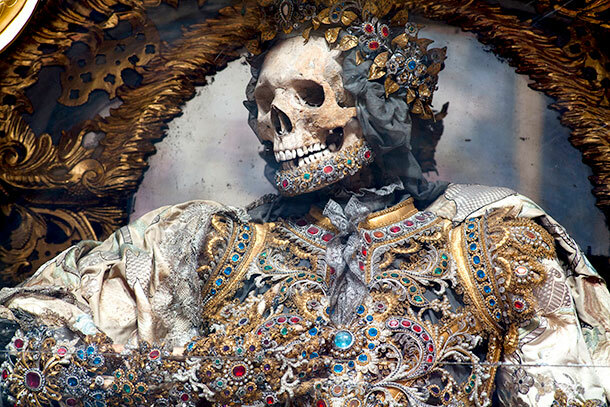 His book is known as Heavenly Bodies: Cult Treasures & Spectacular Saints from the Catacombs. 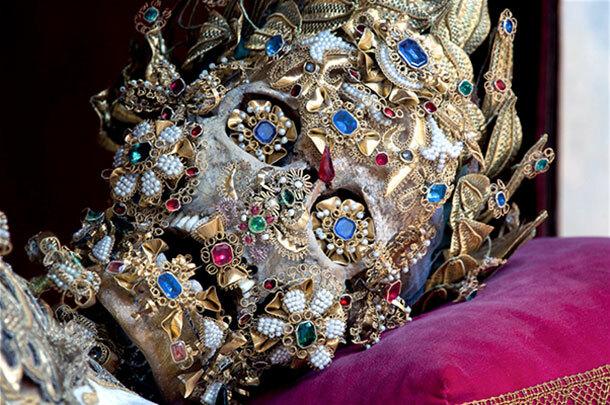 It takes an in depth look at the origins and history of these Catacomb Saints. It poses questions like: who were they? How did they die? Who ordered their placement in the Catacombs? Why did they lay forgotten for so long? 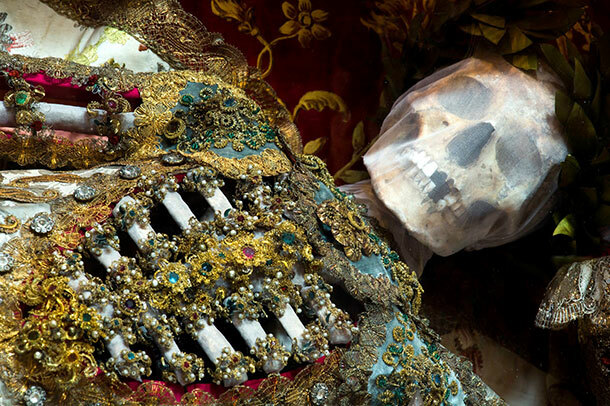 Check out some of these elaborate and forgotten relics form a by-gone era. In 1974, A Photographer Took Pictures Of Two Mimes. 35 Years Later, He Was Surprised When He Realized Who They Were.